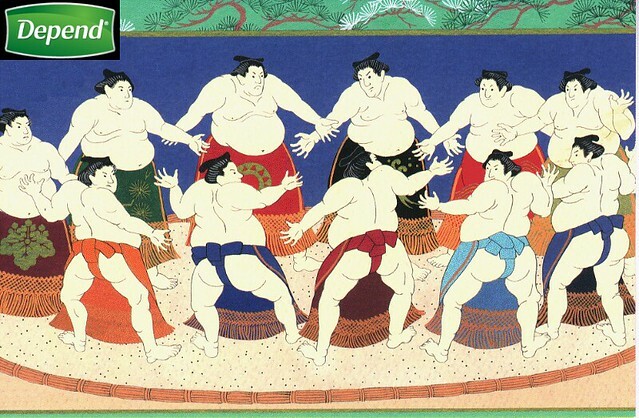 April is here, when many a sports fan’s fancy turns to the Major League Baseball opening game Honozumo sumo tournament at the Yasukuni Shrine in Tokyo. All the sport’s heavyweights were at the ceremonial meet-up on Friday, the top sumo wrestlers from Mongolia, Georgia, Bulgaria and Estonia who currently dominate this quintessentially Japanese sport. Japan loves cats. 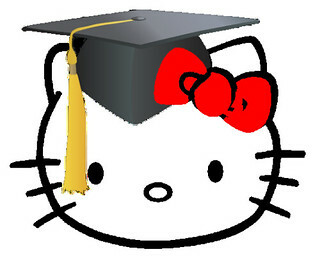 Japan is obsessed with cats. 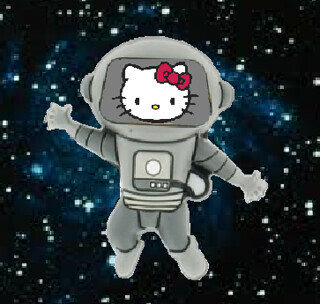 There is Lucky Cat (Maneki Neko ), robot cat (Doraemon), and of course Hello Kitty. Japan has cat cafes. 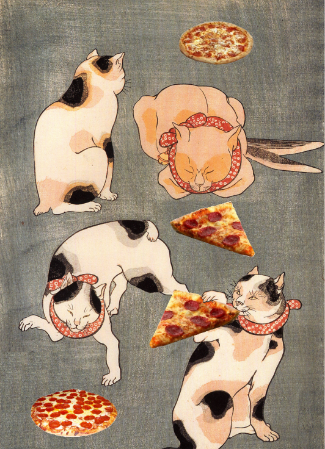 Now Japan’s cats are running Pizza Hut. 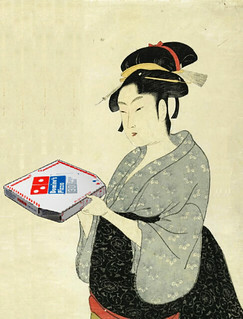 Domino’s Pizza Enterprises, which operates pizza outlets in Australia, New Zealand, France, Belgium, Monaco, and the Netherlands, bought a 75 percent interest in Japan’s Domino’s Pizza chain last year. This year the 61 Japanese stores helped boost the profit pie a hot and tasty 48 percent. Sumo wrestler Ōsunaarashi Kintarō (大砂嵐金太郎) was born Abdelrahman Shalan in Egypt. 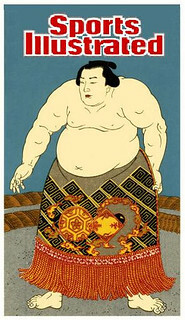 In 2011 he came in third place at an international junior championship and moved to Tokyo to become a pro Sumo wrestler. His ring name means “Great Sandstorm.” After a 7–0 performance in a recent tournament, he advanced to the jūryō division. In July he will compete in a 15-day tournament while he fasts during Ramadan.